Set on a sprawling 435-acre plot in southwestern Vienna, the Schönbrunn Palace is the former summer residence of Austria’s Habsburg emperors and a UNESCO World Heritage Site. Built in 1642, this Baroque beauty is where Emperor Franz Joseph was born, where Napoleon met with his generals, and where a six-year-old Mozart performed in the Hall of Mirrors. 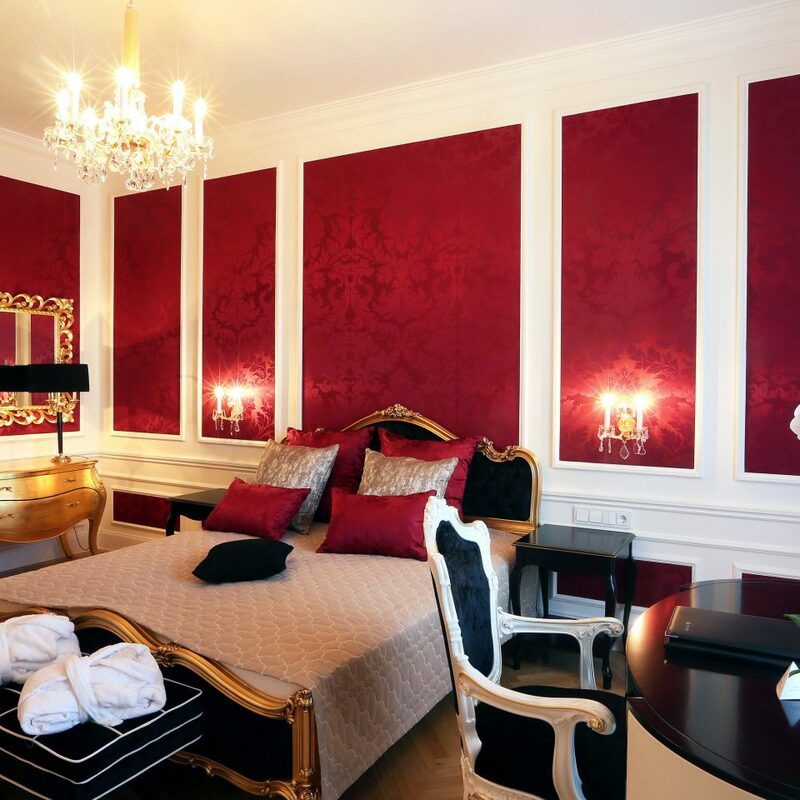 And now, through a collaboration with Austria Trend Hotels, you can stay in a lavish two-bedroom suite in the eastern wing of the palace. Access is via a geheimstiege (secret staircase), and the interiors are a modern take on imperial opulence, with parquet floors, white lacquered furniture, chandeliers and gold leaf galore. The suite covers 1,798 square feet and overlooks the elaborate Crown Prince Garden and the showstopping Gloriette (a hilltop pavilion). An oil painting of former resident Empress Sisi hangs in the hallway, and the corridors are decorated with hot pink damask wallpaper and further artworks depicting life at the palace. The master bedroom has an ornately carved four-poster bed, a dressing room fit for a princess and a work desk with an antique-style phone; the standout feature in the second bedroom is an enormous bathroom with a contemporary freestanding bathtub modeled on the one that Sisi bathed in. A mod kitchen (equipped with a Nespresso machine and a wine fridge) leads to a petite dining room and a living room with a giant Smart TV. 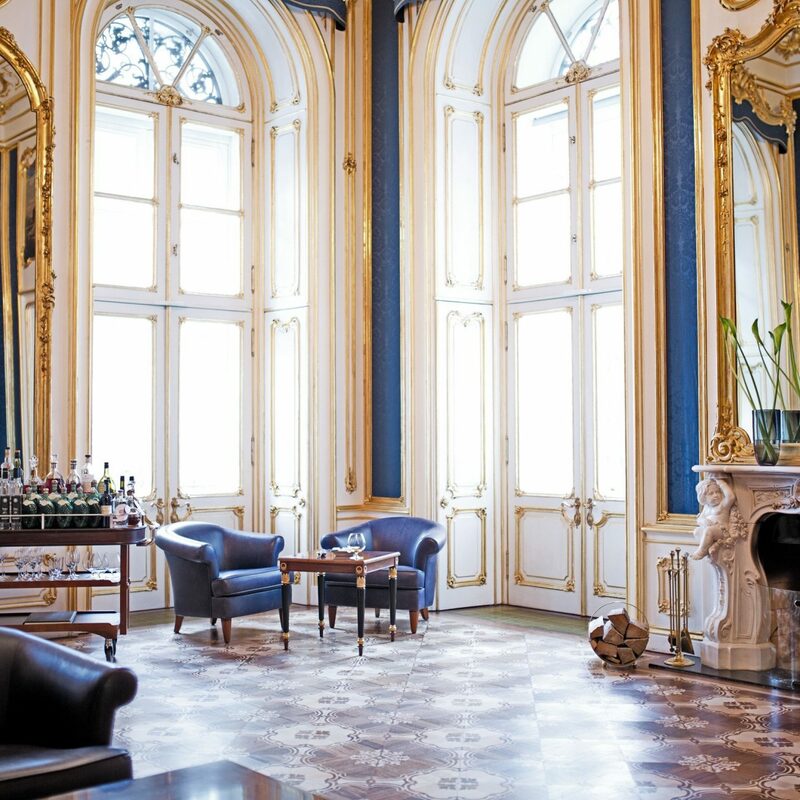 Check-in takes place at the nearby Parkhotel Schönbrunn (the building used to accommodate the emperor’s houseguests), and there’s an on-demand shuttle service between the suite and the property for traditional hotel services and breakfast (in a private room, no less). The hotel can arrange a private chef or butler service for an additional fee, but the beauty of this regal retreat is having the keys to the castle and access to the palace grounds long after the gates close to the public. 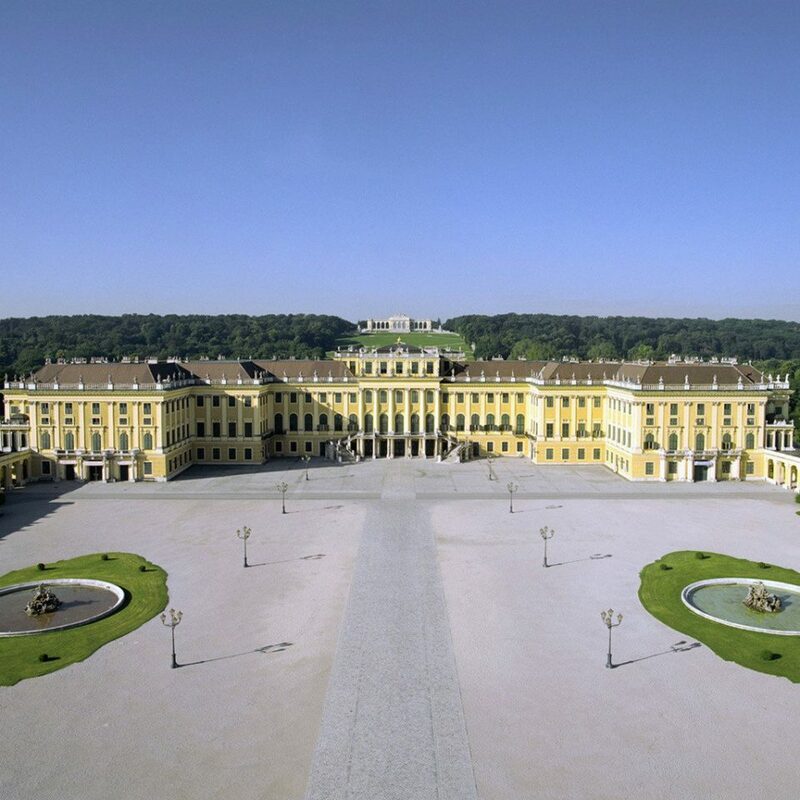 Classic Pass tickets to the palace include access to palace state rooms, the Gloriette and the garden maze. 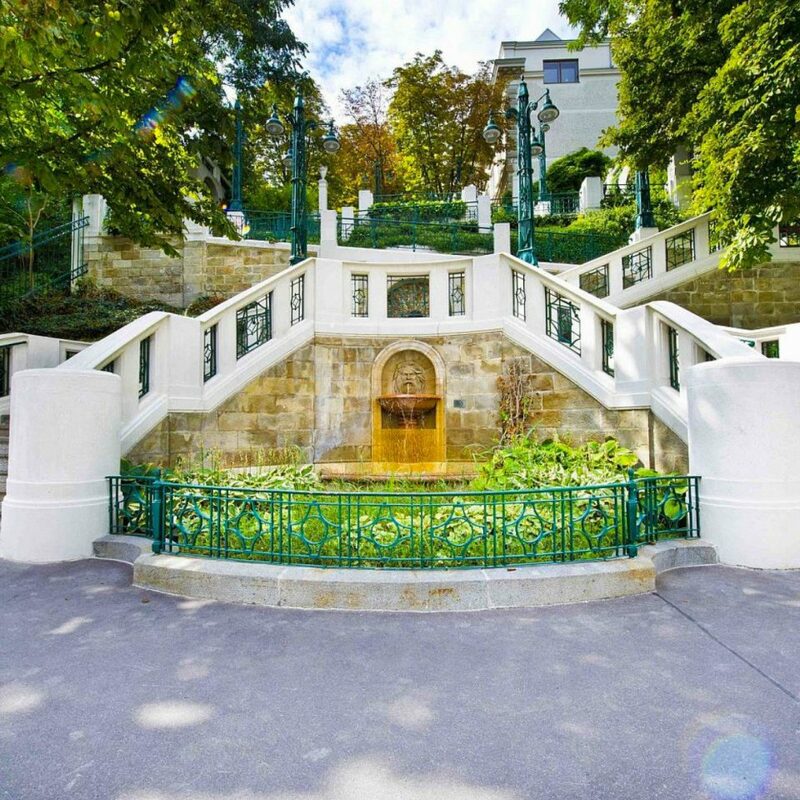 In downtown Vienna there are more than two dozen castles and 150 palaces to explore. 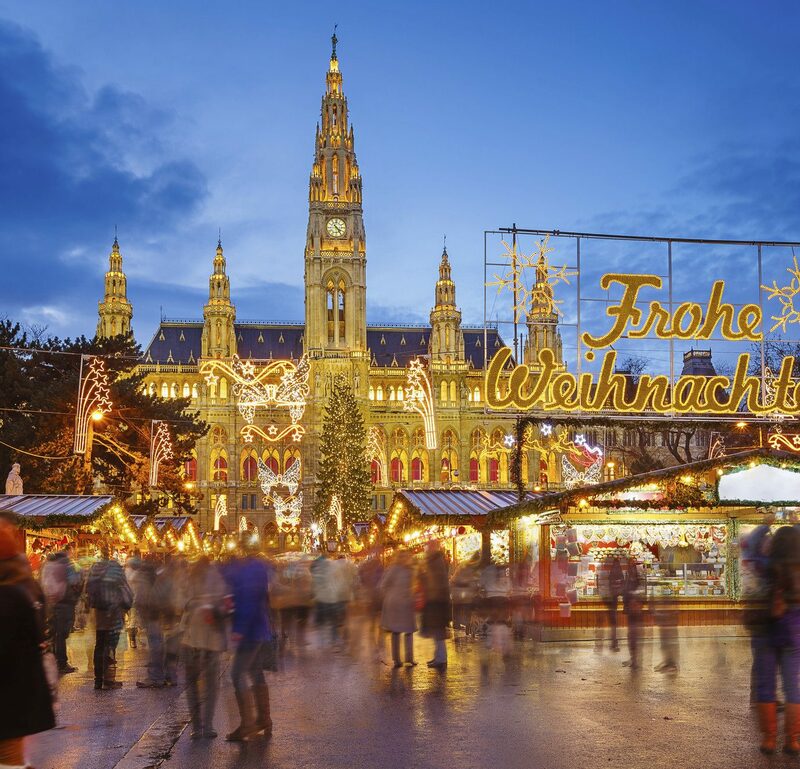 The city blends the old with the new, and Baroque buildings, Art Nouveau train stations and modern glass and steel structures stand contentedly side by side. The best way to get around is on two wheels; city bikes can be picked up and dropped off at various locations. Head for the Freihausviertel area for hip galleries, boutiques and cafés. Take a trip to the top of the 450-foot spire of St. Stephen’s Cathedral for impressive views of the city. And stop for a coffee at Café Landtmann; it’s been a Viennese institution since 1873 and has been frequented by everyone from Freud and Mahler to Marlene Dietrich. Extraordinary and magical experience to stay in the Suite at Schloss Schönbrunn! Truly a unique experience and the ultimate in luxury and elegance. Perfect for special occasions and special celebrations. The photos do not do justice to the high quality of furnishings and the comfort of the Schönbrunn Suite. Two splendid bedrooms and two spacious baths with every amenity you can think of. Large living room and dining room with expansive views of the gardens. We enjoyed watching the sun set and seeing the lights turn on at the Gloriette out in the gardens. The suite is perfectly quiet and incredibly relaxing. Large soaker tubs for a pleasant spa experience -- we also loved the heated floors in the bathrooms. Top quality service and a wonderful welcome by Ronny Müller from Austria Trend's nearby managing property, the Parkhotel Schönbrunn. Ronny explained how everything works in the suite as well as access after hours, since we were planning to have dinner with friends in center city Vienna that evening. We opted for the self-service breakfast and had a delightful time cooking up scrambled eggs and bacon in the well-equipped and full-sized kitchen. The staff from the Parkhotel delivered a huge basket of fresh breads early that morning. We recommend that you book a guided tour of the Schönbrunn Palace and also have lunch at one of the onsite restaurants (Cafe Residenz was our favorite). The carriage museum is also fascinating -- the carriages were the private jets of their day. You must be able to climb about four flights of stairs to access the suite, but it is well worth the effort -- stunning views of the gardens on two sides of the palace. This is an unforgettable experience and one that we hope to repeat very soon! This is not another luxury city hotel. This is a unique top experience of staying at an UNESCO World Heritage palace and #1 tourist attraction in Vienna. This is uncomparable to any other luxury city hotel. (And we stayed in dozens of them - all over the world). The Grand Suite itself is stunning. 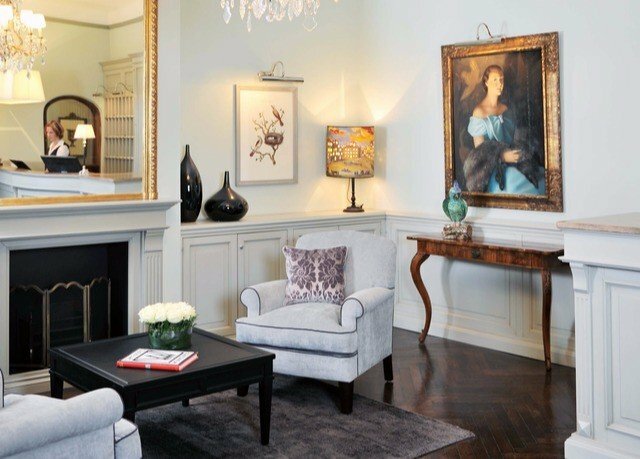 It is the perfect combination of modern style with touches of traditional elements of the palace. It is very large (165 square meters), with two big and totally different bedrooms with adjacent big bathrooms. Every corner is stunning and there are many large windows with the best views to the gardens and the Gloriette. Although this isn't a common hotel, you can have dinner on site at the palace restaurant (Residenz) that is located 20 meters from the entrance to the suite. For breakfast they drove us with their car to the near Parkhotel hotel. Alternatively you can dine in the suite (fully equipped kitchen - for a chef or by yourself) or dine outside the palace. There is a special parking for your car inside the palace grounds, and not far away there are taxis and an "U" underground station. It is highly recommended for anyone who wishes a unique luxury experience (and can afford it) to stay one night at this unique world class place. 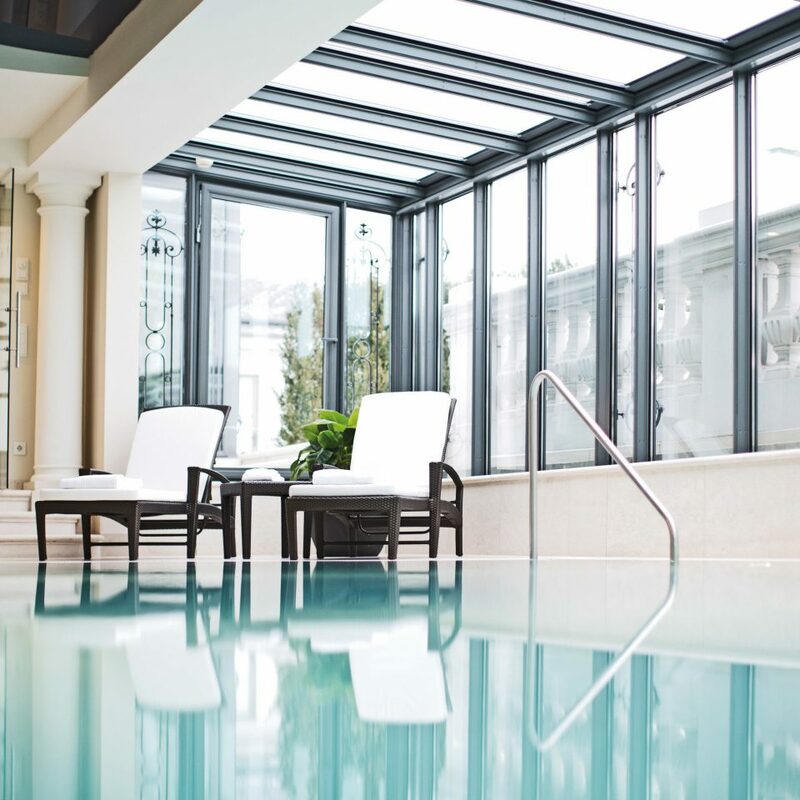 There is nothing like it at any grand hotel in the city. The only restriction is that you must be able to climb about four floors of stairs, because the palace doesn't have any elevators (UNESCO's instructions). If you like living in old fashioned style this is the place for you, we loved it! 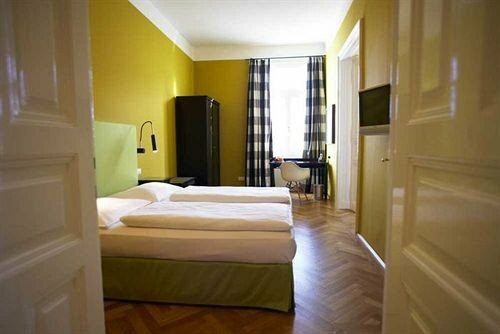 Across the street from the schoembrunn palace and 2 min from a metro station and tram stops the location is perfect. Our room was large, well appointed and spotless. The staff helpful and friendly. Will defiantly stay here again. Where to begin? 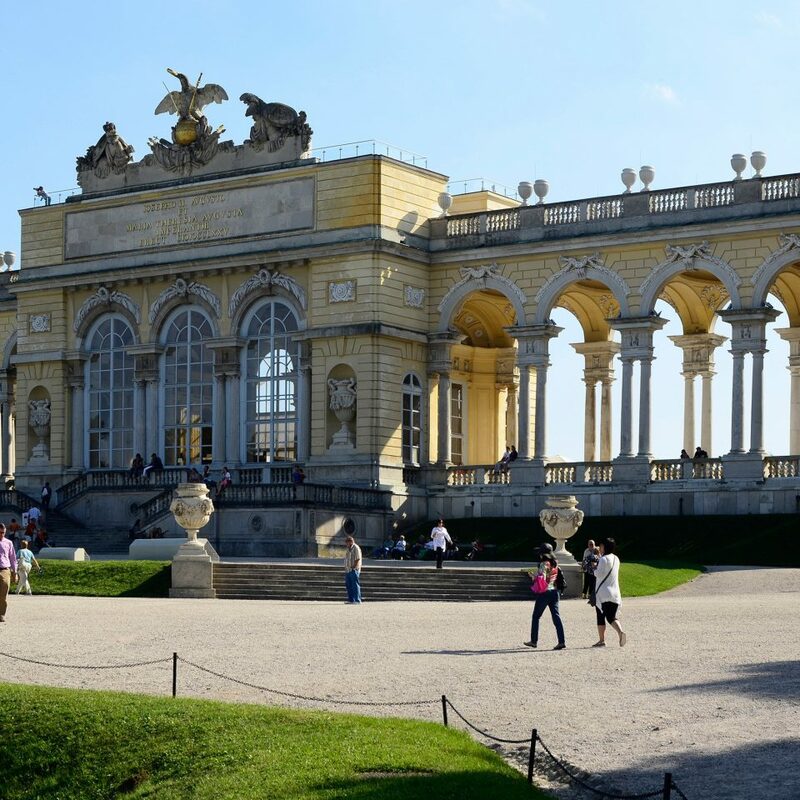 We have visited Vienna several times, and always adore visiting the palace and gardens at Schönbrunn. What a treat to discover that the palace now has a suite that one can rent out, and live like the Emperor for a night or two! 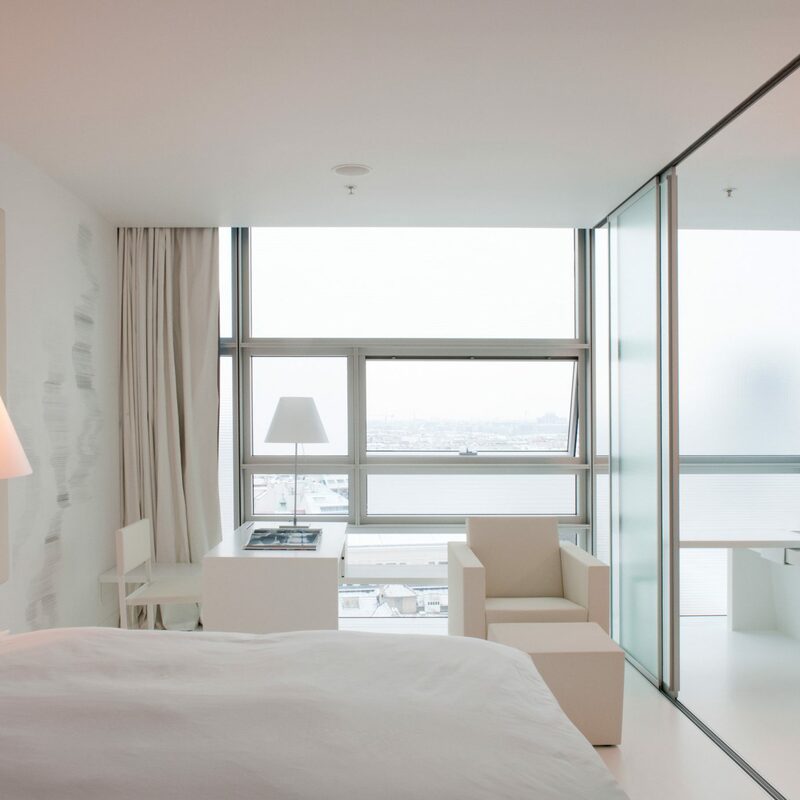 We booked the Grand Suite via Austria Trend Hotels as a special birthday treat, during our stay in Vienna, and could not have been more happy with the choice. Firstly, you are staying INSIDE the palace itself: when the last visitors have been kicked out of the gift shop, and the palace gates are closed, it's all yours. You are free to come and go as you please, with your own keys to get into the palace gates, into the palace entrance, and up the "secret staircase" that winds 88 steps to your suite. Caution: there is no lift - it's 88 steps up and then 88 coming down again. The interior of the suite is just stunning. It's 167 sq.m. all up, with views across the palace grounds. One bedroom looks out to the Neptune Fountain and the Gloriette, while the other overlooks the Crown Prince's privy garden. The bedroom facing the Gloriette is sumptuous, with a large four-poster "heavenly bed" with curtains, and a little chair at the window looking onto the gardens. Behind it is a massive walk-in wardrobe, plus ensuite bathroom, complete with heated floor tiling. 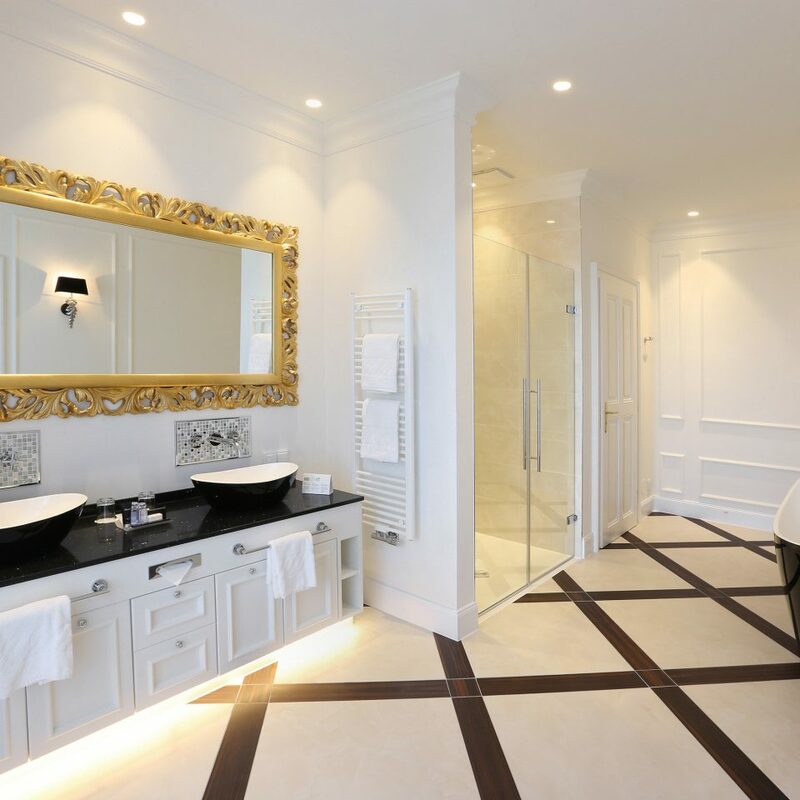 The other bedroom is also large, with a black and gold velvet feeling, plus similar ensuite bathroom with heated floor, but it also had the massive Sisi-inspired deep bath, overlooking the Crown Prince's garden. 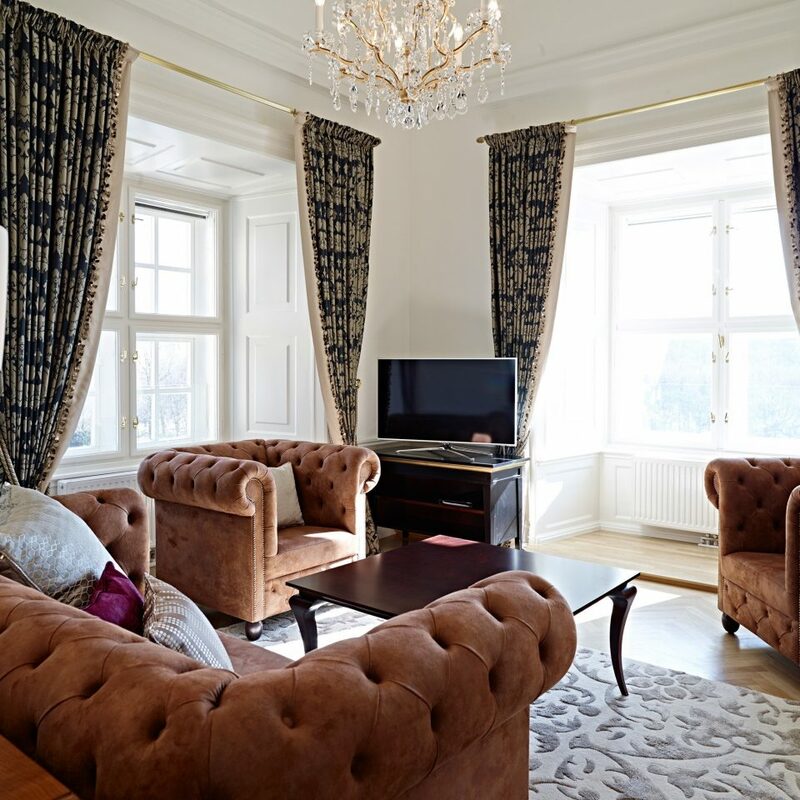 Apart from the bedrooms, there is a very comfortable drawing room (again with uninterrupted views to the Gloriette), an elegant salon in which to dine, and a fully functioning kitchen, with everything that you (or your private chef!) could need. The decor throughout is befitting of the address, with the pineapple damask worked faithfully into the wall coverings and furniture. Did I mention the views? The Grand Suite is situated at the top level of the eastern part of Schönbrunn palace, giving uninterrupted views to the east and the south. At night, the Gloriette is illuminated until 10 p.m., and this is clearly visible from all windows that face south (salon; drawing room; master bedroom). The glass in these windows has been enhanced to magnify the views - it looks closer to you than it actually is, which was a wondrous optical illusion (and one that cameras do not pick up, unfortunately). To stay here is an absolute treat. 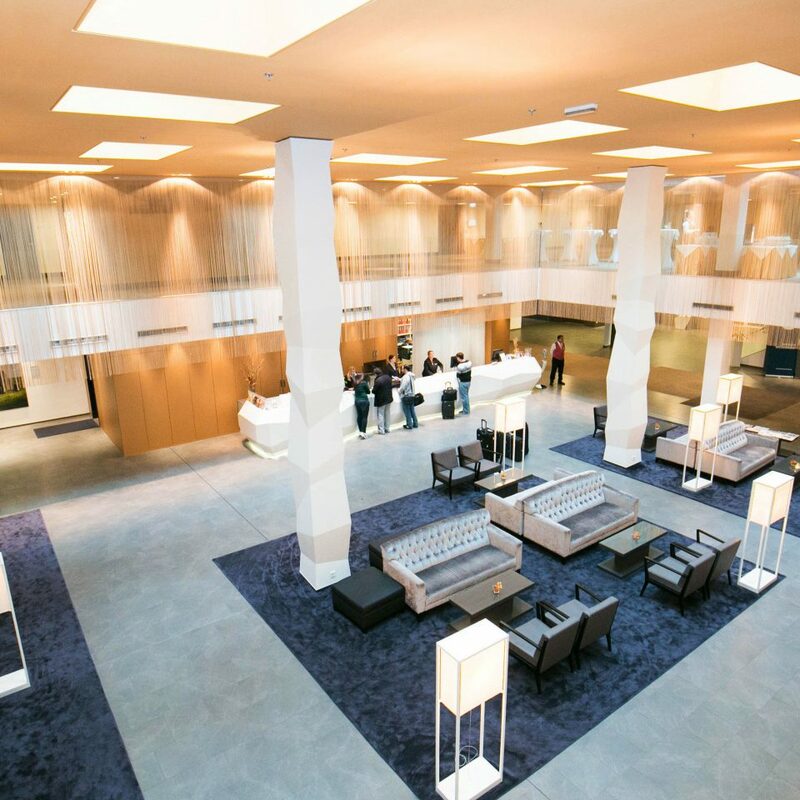 The supporting staff at the nearby Austria Trend Parkhotel Schönbrunn (who manage the Suite) were wonderful, from the initial booking process, through to check-in (handled at the Hotel), car transfer to the Suite, and with all enquiries during your stay. We elected to have breakfast inside the Suite itself, rather than back at the Hotel, and were able to pre-order all supplies, and to have fresh bread, juices and hot chocolate delivered to us each day. There was also the incredibly thoughtful inclusion of a cake and candles on my birthday itself. Kudos to Ronny Muller and the team at Austria Trend Parkhotel for their attention to customer service. Check-out is performed inside the Suite itself, and the staff will attend to getting you a taxi for the inevitably sad departure from your imperial lodgings. I cannot commend them highly enough, and am still stunned that access to a property such as this was possible. A suite in the original Sissy castle - an incredible treat! 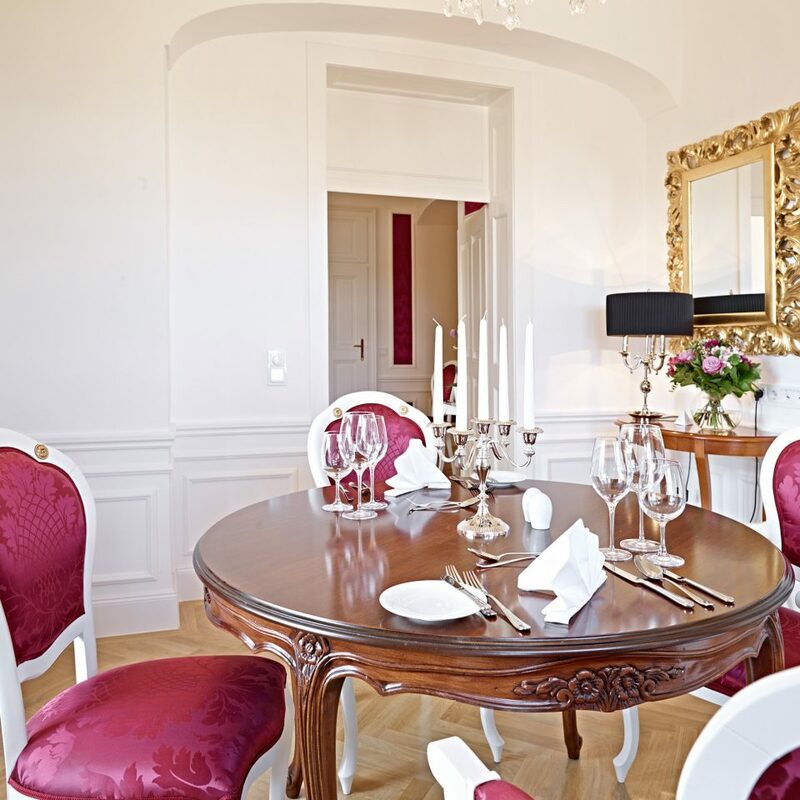 If you love Vienna and want to treat yourself to something really special - book a night in the castle Schönbrunn, which is catered for by Parhotel Schönbrunn. You stay a night in the castle where the emperor reigned. 170sqm full of elegant emperor style furniture. 2 bedrooms with huge bathrooms, a dining room, a fully fletched kitchen with a great selection of wine & champagne, a very nice living room - and all rooms offer great views to the emperor's gardens. A one time romantic adventure! Checkin and checkout is done in the suite. You can book breakfast and or butler service on top. Great service by the hotel. Management & staff who try to make your stay truly special.